William Henry Hubbard, state's attorney at Greenville, Illinois, and one of the members of the legal profession in Southern Illinois, was born June 29, 1849, in Castile, Wyoming county, New York, and is a son of William Henry and Elvyn Phelps (Wells) Hubbard. William Henry Hubbard, the father, was born at Hopewell, Ontario county, New York, July 17, 1822, and was reared on the farm of his father, Pliny Hubbard, on which he resided until 1861. In that year he became general agent for the Hubbard Mowing Machine Company, with which he was associated until 1868, and the family then moved to Syracuse, New York. A few years later Mr. Hubbard removed to a farm eighteen miles from Syracuse, at Pompey. Onondaga county, New York, and in 1874 traded this property for a farm and store at Ferry in Oceana county, Michigan. 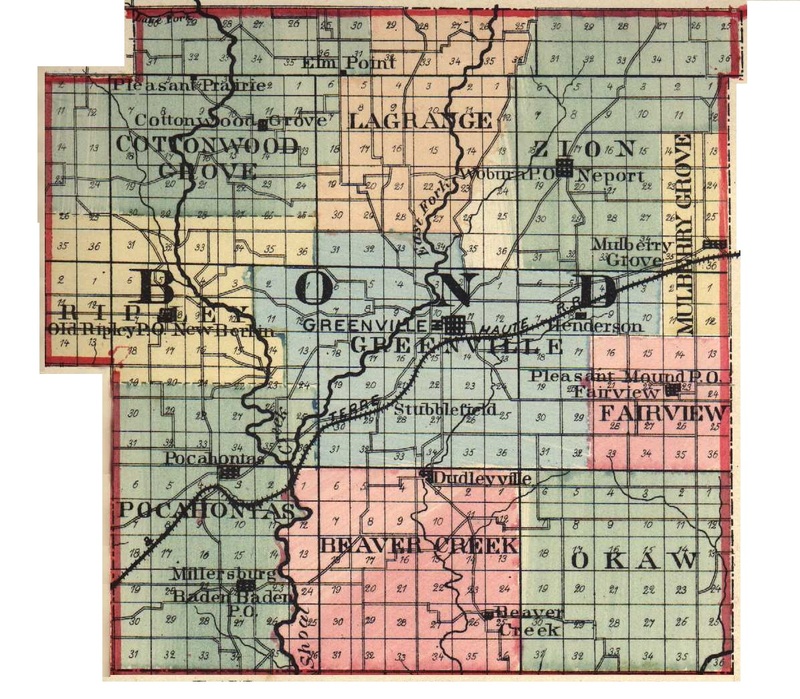 In 1879 Mr. Hubbard traded his Michigan interests for property in South Evanston, Illinois, and during the remainder of his life he made his home in South Evanston and Chicago, becoming a dealer in real estate and accumulating considerable property. His death occurred October 11, 1899, when he was on a trip to Depere, Wisconsin. On June 12, 1846, Mr. Hubbard was married at Webster, New York, to Miss Elvyn Phelps Wells, a direct descendant of General Israel Chapin, of Revolutionary fame, and there were five children born to this union: Wells Foster, born May 10, 1847; William Henry, Jr., June 29, 1849; Charles P., January 23, 1851; Frank L., July 10, 1855; and Nellie Eva, now Mrs. R. W. Hodgson, of Kingman, Kansas, July 10, 1859. William Henry and Mrs. Hodgson are the only survivors. Mrs. Hubbard died October 2, 1904, dying in the faith of the Universalist church. Mr. Hubbard was a stanch Democrat in his political views, and a prominent Mason. William Henry Hubbard spent his early life in the East, receiving his education in the public schools of his native state and commencing to read law when he was about twenty years of age. He was admitted to the Syracuse bar in 1871, and there was engaged in practice until 1889. As a lad Mr. Hubbard had learned the printer's trade, and ongoing to Centerville, Michigan, in 1889, he purchased a printing office and edited the St. Joseph county Republican, but in 1890 moved the plant to Carbondale, Illinois, where he established the Jackson county Republican, which was consolidated with the Free Press in 1893, and conducted by Mr. Hubbard until 1897. In that year his health failed, and in December he went to Seattle, Washington, where he remained until January, 1904, when he returned to Illinois, settled in Greenville, and established himself in a large and lucrative law practice. Mr. Hubbard is a stanch Republican in political matters, and in Oceana county, Michigan, served as state's attorney. Shortly after locating in Greenville he was elected justice of the peace, and in November, 1908, he was elected to the office of state's attorney of Greenville, an office which he has held to the present time. Mr. Hubbard belongs to the Masonic order and to the Presbyterian church. On June 27, 1867, when not yet eighteen years of age, Mr. Hubbard was married to Miss Imogene Ide, daughter of Darius and Mary Ide, of New York, and she died July 30, 1888, in Syracuse, having been the mother of two children: Mary Evelyn and Charles W. Mary Evelyn was educated in the Southern Illinois Normal School, at Carbondale, and is now the wife of Frank E. Watson, of Greenville; while Charles W., who was also a student of the normal school, is engaged in the commission business in this city. Mr. Hubbard has contributed the force of a potent personality and consistent civic patriotism to every enterprise which has contemplated the upbuilding of his adopted city, and he has always been energetic, eager, enthusiastic, broad-minded and ready to do large things in a large way. Education, charity and religion have all found a place in his heart, and he can truly be said to be one of his community's most representative men. Extracted 10 Nov 2018 by Norma Hass from 1912 History of Southern Illinois, by George W. Smith, volume 3, pages 1134-1135.